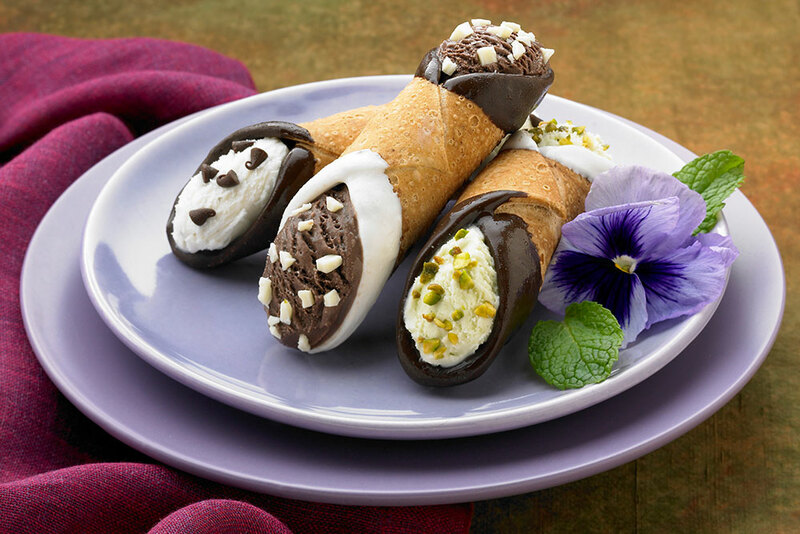 Modern twist on classic Sicilian cannoli, three cannoli shells are dipped in dark and white chocolate and stuffed with Blue Bunny® Pistachio Almond, Chocolate and Super Premium Vanilla Bean Ice Cream and sprinkled with nuts. 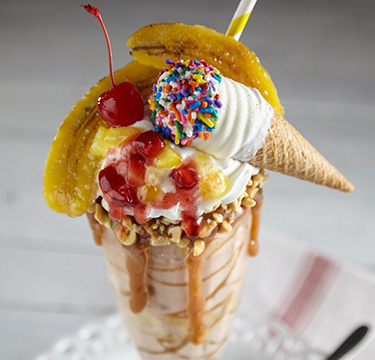 Scoop one #30 scoop (1 oz.) of Blue Bunny Ice Cream into premade cannoli shell. Place cannolis on parchment lined sheet pan and freeze until ready to serve. 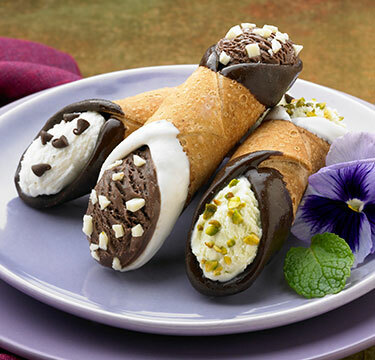 Scoop two different Blue Bunny® Ice Creams into one cannoli shell. Dip one half of the cannoli in dark chocolate. 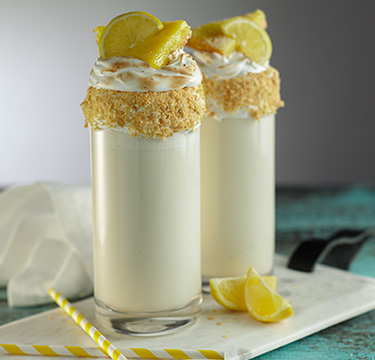 Dip the other half in white chocolate and freeze until ready to serve. Make sure inside of cannolis are completely covered in chocolate before filling with ice cream. If cannoli shells are exposed to ice cream, they will become soggy. Cannolis can be premade and served to order. Average Cost is figured based on 1 Cannolis per serving.